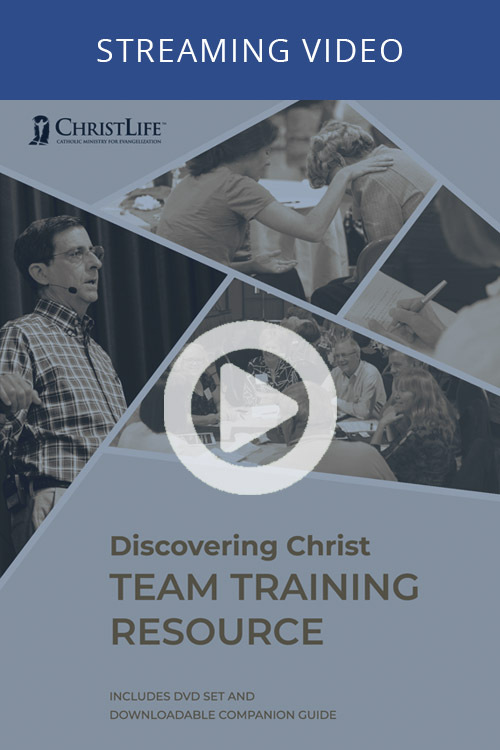 The Discovering Christ Team Training is an essential tool to spiritually and practically equip your parish or ministry to effectively run Discovering Christ. The effectiveness of the course is largely based on a well­-organized, well­-trained, and spiritually vibrant team. This training resource teaches the fundamental principles for a fruitful Discovering Christ course. Disclaimer: Purchasing Discovering Christ On-Demand does not give access to the streaming videos to an entire parish or small group to login and watch the talks on their own. Discovering Christ On-Demand can certainly be shown at a parish course or small group, but sharing one's login with others in order for them to be able to watch Discovering Christ On-Demand on their own is not a legitimate use of the product. The Companion Guide contains the outlines for each of the Discovering Christ Team Training talks. After purchasing, you will receive a download containing the Discovering Christ Team Training Companion Guide in PDF format.